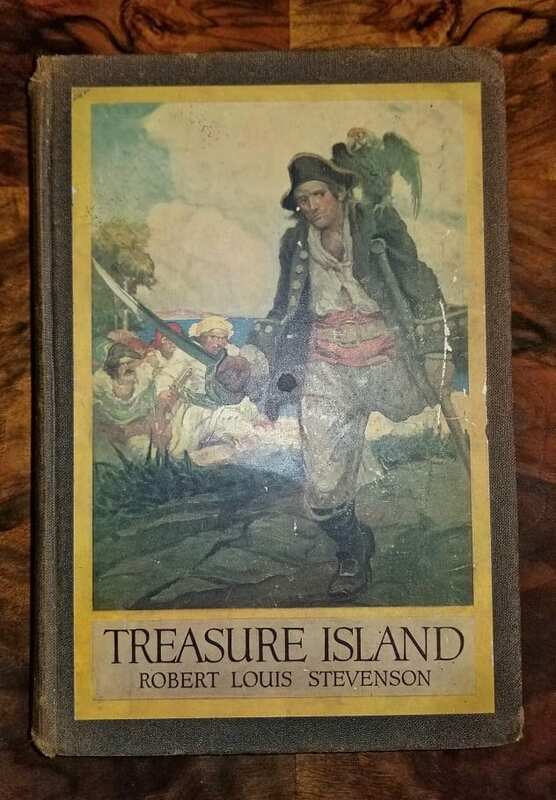 Treasure Island by Stevenson 1st US Edition. 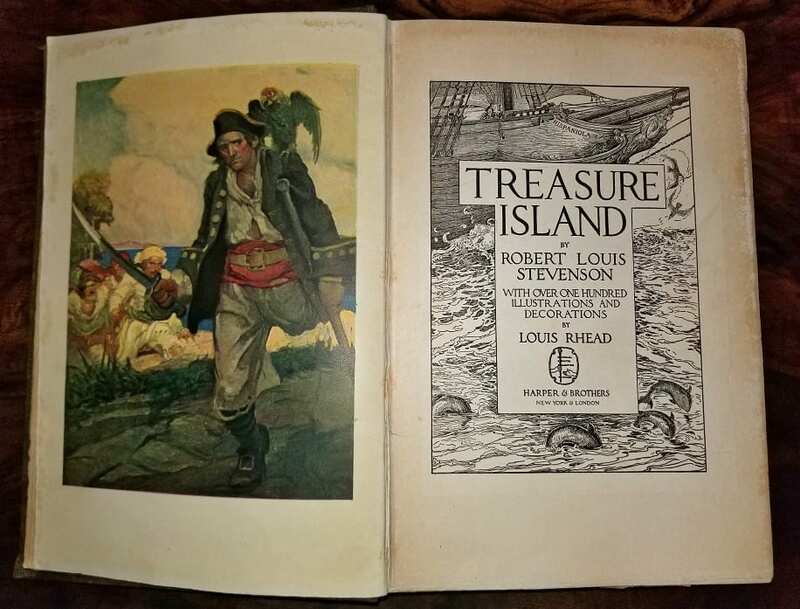 PRESENTING A VERY RARE FIRST EDITION hardback copy of Treasure Island by Robert Louis Stevenson with over 100 Illustrations and Decorations by Louis Rhead, published by Harper & Brothers, New York & London, Copyright 1915 and printed in the USA.. 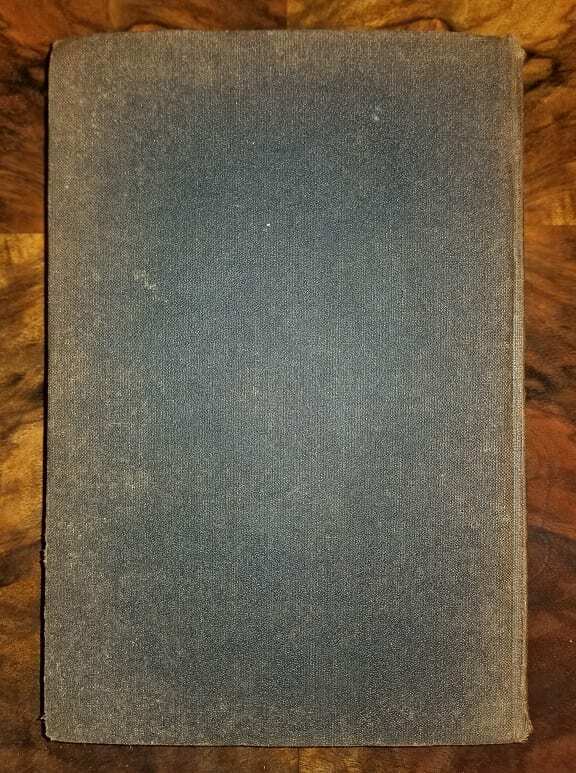 This RARE book is in good condition….some very minor fraying to the cover and spine edges, some discoloration to the brown cloth cover, but otherwise very good for it’s age. The illustrations are PERFECT! The ‘CRAZY’ thing about this book is that it is not more valuable as a Book than (in my opinion) it should be. The Color Plates, nicely framed and matted as first edition prints would each have a value well in excess of the actual book….BUT….we are not that kind of Dealer!! 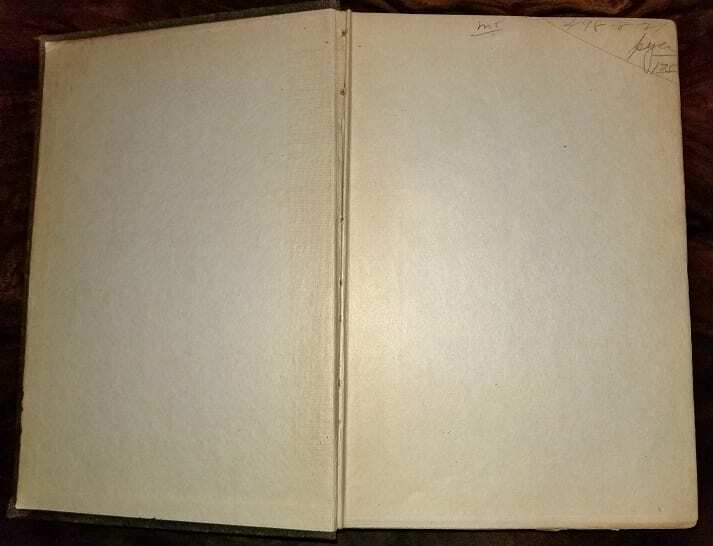 The Book has a sticker on the inside of the first cover page for: " Sanger Bros. Inc., Dallas - Waco - Forth Worth" with the original retail code and price of $1.00 and 87 Cents. 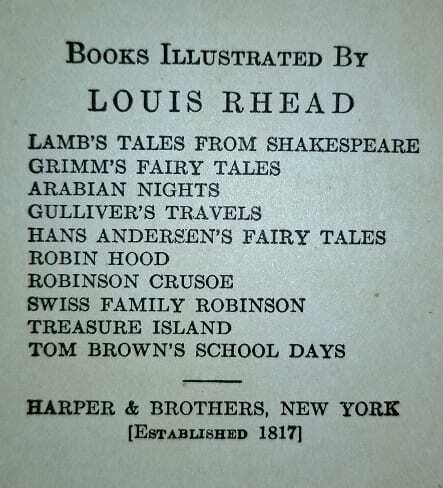 This is a RARE FIRST US Edition!! 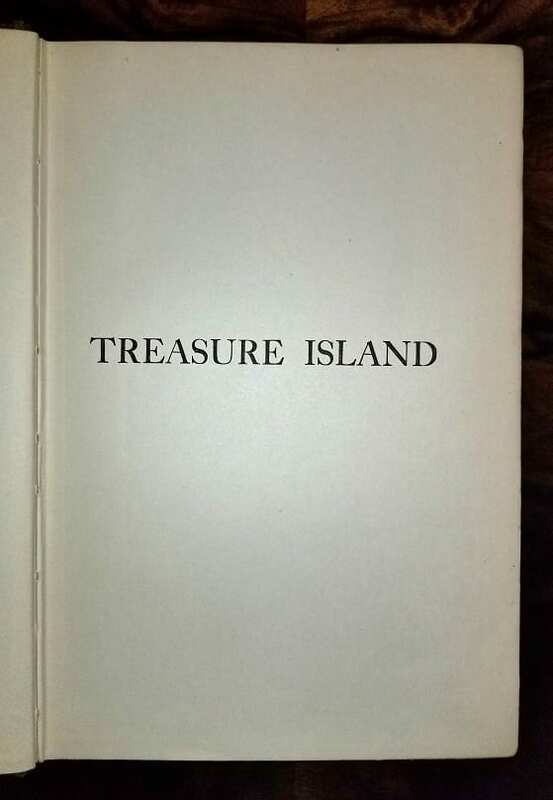 Treasure Island is an adventure novel by author Robert Louis Stevenson, narrating a tale of "buccaneers and buried gold". Its influence is enormous on popular perceptions of pirates, including such elements as treasure mapsmarked with an "X", schooners, the Black Spot, tropical islands, and one-legged seamen bearing parrots on their shoulders. 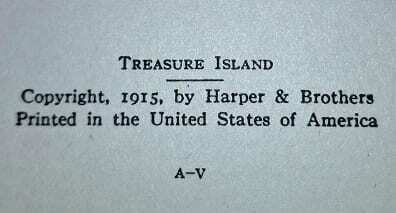 Treasure Island was originally considered a coming-of-age story and is noted for its atmosphere, characters, and action. It is one of the most frequently dramatized of all novels. 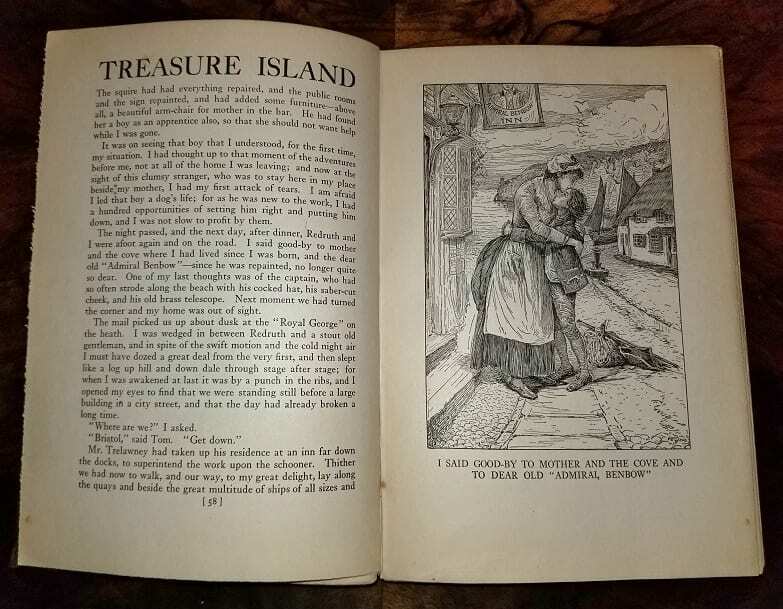 It was originally serialized in the children's magazine Young Folks between 1881 through 1882 under the title Treasure Island, or the mutiny of the Hispaniola, credited to the pseudonym "Captain George North". 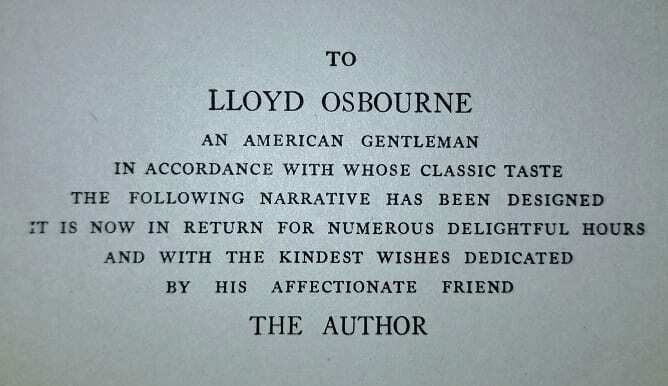 It was first published as a book on 14 November 1883, by Cassell & Co. Condition: Very Good ORIGINAL CONDITION. No dust jacket.